WE WANT YOU for the 70th Anniversary Celebration of Sutter Creek Boy Scouts Troop 63. Please SAVE THE DATE of December 2, 2012 from 3-5 P.M.
We are looking for anyone affiliated with Troop 63 from 70 years ago to the present. We would like to invite past Eagle Scouts, Leaders, Merit Badge Counselors, Sutter Creek Lions Club members, Sutter Creek Women's Club members, American Legion members, American Legion Women's Auxiliary members and anyone else affiliated with Troop 63 to help us celebrate this monumental occasion. Share in scout games, stories and history. Dessert refreshments will be served. Troop 63 continues to serve the community of Amador County through Eagle Scout Community Service Projects as well as support for many community events. We will be collecting canned food at this event for the Interfaith Food bank and creating care packages for our troops. Please call Scoutmaster Josh at 209-267-5953 or Tori Moody at 209-256-0465 for more information. More than 215 volunteers joined forces to clean along the Mokelumne River and around Pardee and Camanche Reservoirs during the 2012 Mokelumne River and Pardee-Camanche Reservoir Cleanups on two recent Saturdays, September 15 and October 20. The volunteers removed 2,600 pounds of trash and recyclables, making our local recreation sites healthier for people, fish and wildlife. The Mokelumne River Cleanups have been held for more than 20 years. On September 15, volunteers cleaned along the North Fork Mokelumne at campgrounds below Salt Springs Reservoir, around and on Camanche and Pardee reservoirs, and along the lower Mokelumne below Camanche. On October 20, cleanup sites were the Highway 26 crossing of the North Fork Mokelumne, Electra, Big Bar and Middle Bar. Participants included members of Amador High School Cheer, Foothill Conservancy, Delta Fly Fishers, Mokelumne Trailbusters and the Lodi Paddle Club, staff from EBMUD, Foothill Conservancy and the Forest Service, and individuals ranging in age from 12 to 75. This year’s Mokelumne River and reservoir cleanups were organized by the Foothill Conservancy and the East Bay Municipal Utility District. 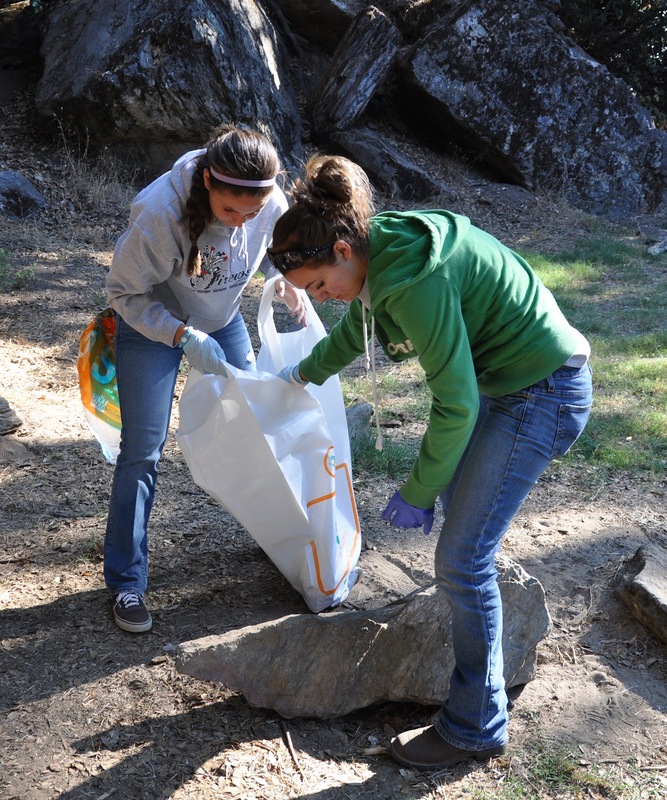 The September 15 cleanup was part of the Sierra Nevada Conservancy’s Great Sierra River Cleanup and was held in partnership with the U.S. Forest Service. Business sponsors for the effort included ACES Waste Services, Star Donuts, Pine Grove Market, Martell Safeway, Munnerlyn’s Ice Creamery, Pardee Lake Recreation, Camanche Recreation Company, California Waste Recovery Systems, and George Reed, Inc.
For more information, contact Randy Berg at 209-295-4900 or randy@foothillconservancy.org. Ruthella Turner talks with Tom Slivick about the ATCAA Angel Tree program that will be taking place this holiday season. Help Kenyan Children Survive and Thrive Sixth Annual Sweet Potato Pie Fundraiser, Thursday/Friday, November 15-16, 2012, Volcano Communication Tech Center, Pine Grove. Large pies, doz. Muffins, or Mini-tarts- $18.00. Gluten free, or no sugar added-$20.00. To order- include selection, name, tel. number, and check payable to” Help Kenyan Children Survive and Thrive,” mail to 12680 Maude Court, Pine Grove 95665. Proceeds to assist children through “Help Kenyan Children Survive and Thrive,” a 501(C) (3) humanitarian organization serving at-risk children through Health and Hygiene Education Missions, Support, and School Feeding. Academy Drive in Sutter Creek (corner of Bowers and Academy). All artwork created by artists with developmental disabilities. 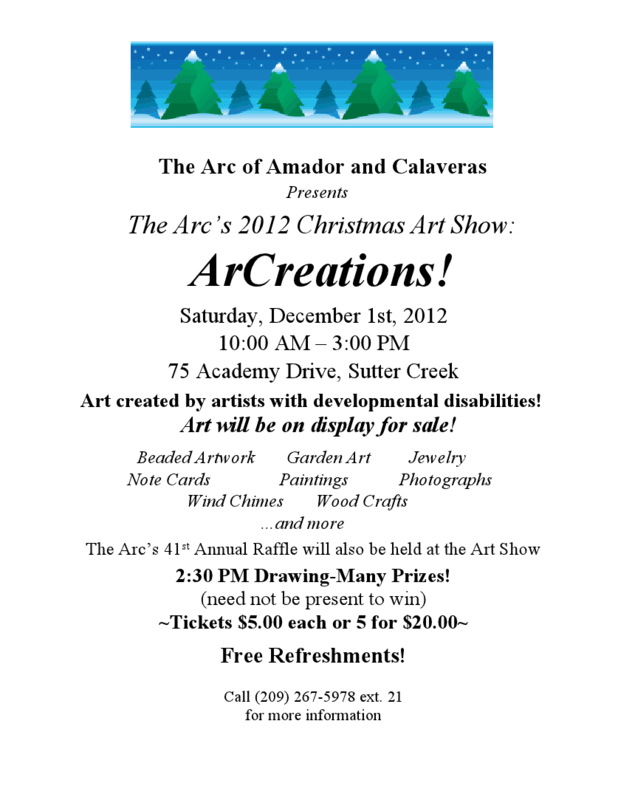 The Arc’s 41st annual Christmas Raffle will be held in conjunction with the ArCreation! Art Show. Get your Christmas shopping done! This is your one chance to buy a special gift that will be enjoyed by your loved ones for years to come. Do you need Christmas inspiration? This is the place to find it! For more information call 267-5978 extension 21. Tom Slivick talks with Kathleen Harmon, Executive Director of the Amador Community Foundation. Friends of the Amador County Library present award winning Western singer, song-writer, Juni Fisher, at its 3rd annual fundraiser, “Boots ‘n Books”, Sunday, January 27, 2013 at 2PM, at the American Legion Hall, Sutter Creek. Tickets are $20 in advance & $25 at the door and will be available at Hein & Co., 204 Main Street, Jackson, or by mail at 14000 Echo Drive, Sutter Creek, CA 95685 beginning Nov. 1. This has been a “sold out” event for the past 2 years, so get tickets early. For more ticket information, call 267-0580. Marjorie A. Craig, founder and president of Help Kenyan Children Survive and Thrive, Inc., and International Committee Chair of Amador Upcountry Rotary Club, will be the guest speaker at the Amador Upcountry Rotary Club weekly meeting Thursday, November 8, 2012, 5:30-7:00PM, Giannini's Italian Restaurant, 19845 Hwy 88, Pine Grove. She will report on the Ninth Health and Hygiene Education and Support Mission, which provided services to poor at-risk children who attended five community schools in Mombasa, Kenya, May 26-June 20, 2012. Support for this mission included Dr. Floy Gulart, Pine Grove, Mrs. Sharon Lundgren, Pine Grove, Amador County Girl Scouts, AAUW, ACRA, Payless Market, and St. Katherine Drexel Catholic Parish. 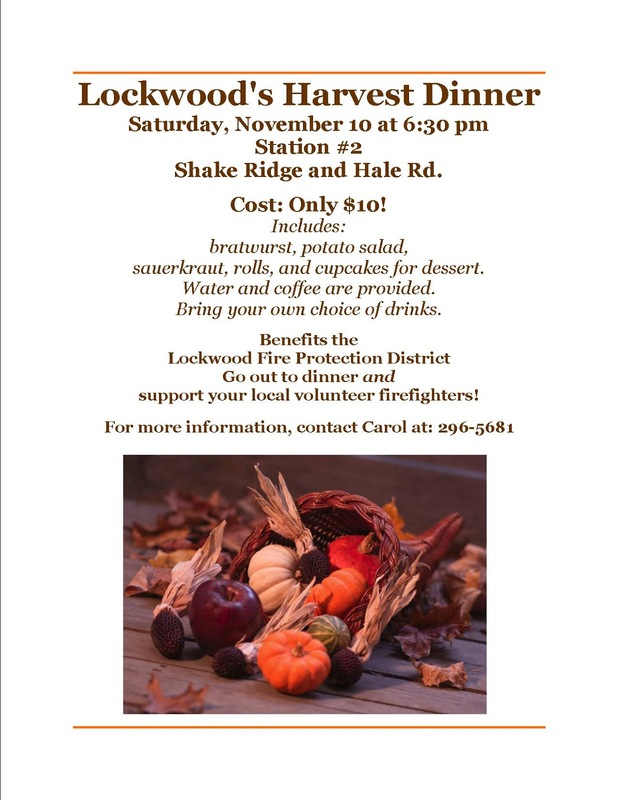 For additional information, Contact Roberta Pickett, President, Amador Upcountry Rotary, 209-295-6493 or email her, coachHYPERLINK "mailto:88@volcano.net"88@volcano.net. Warm your hearts...warm your neighbors! The Amador Fire Safe Council sponsors a low income senior/low income disabled firewood bank for residents of Amador County. All of the firewood has been donated by SPI, USFS, and Calfire. Currently, we have 6-8 cords of wood on hand and more being split by the CYA wards as fire season comes to an end. Wood storage will be in several locations between Sutter Creek and Pioneer. We NEED VOLUNTEERS to deliver firewood to qualified recipients. 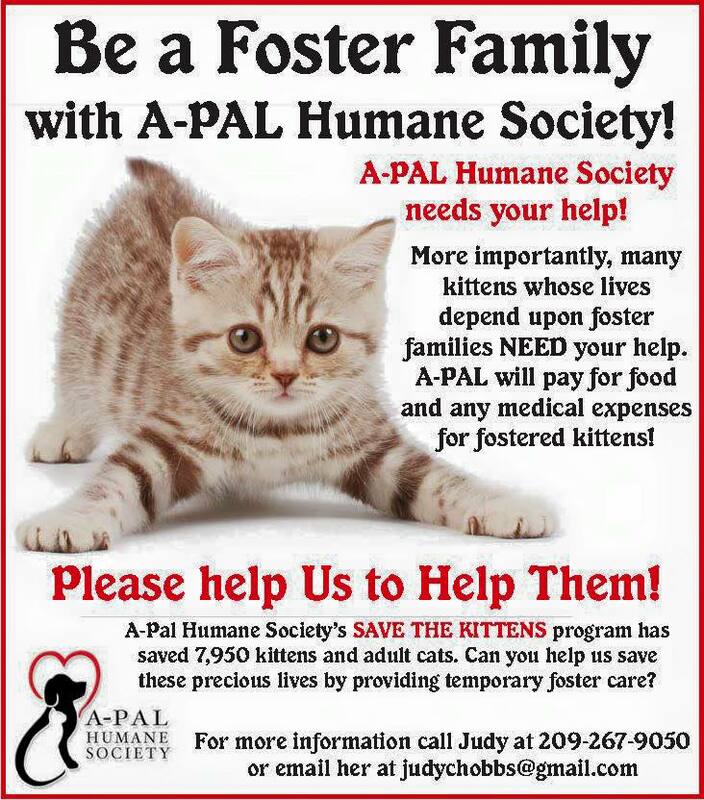 If you are interested in helping keep your fellow residents warm this winter, give me a call and sign up. Tom Slivick talks with Tom Thompson, Executive Director of the Interfaith Food Bank. Tom Slivick talks with Interfaith Food Bank Executive Director Tom Thompson about some of the Food Bank's upcoming events. 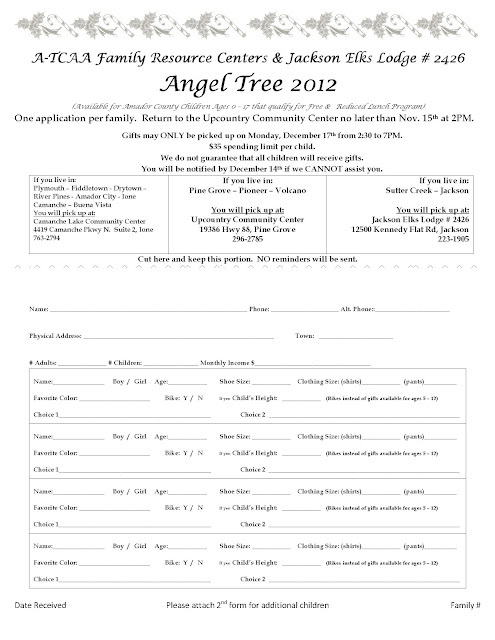 The 2012 Angel Tree applications are now available. This program provide Holiday gifts for children ages 0-17 years living in Amador County whose families are financially stressed. The information on the applications is kept confidential. Please feel free to forward this information, however, no applications will be accepted after the due date (November 15th) listed on the application. The yellow, red, and purple paper angels will soon be available for sponsorship. If you or your service group is interested in sponsoring children this holiday season, please contact the Upcountry Community Center at 296-2785, Elk's Lodge at 223-1905, or the Camanche Lake Community Center at 763-2794. Angels will also be available at local business. Please return unwrapped gifts with the paper angel secured inside of the bag by December 7th to the location that you picked up your angel. Thank you for all that you do to help make Amador County the wonderful place to live that it is! "The mission of the Amador County Fire Safe Council is to protect the people of Amador County and their property from the effects of catastrophic wildfire through education, cooperation, innovation, and action." The plan, funded by the Sierra Nevada Conservancy, is broken down into easily accessed sections, including an executive summary; risk surveys indexed by street name; home fire safety and protection; recommended fuel reduction projects; conservation elements; defensible space; wildfire ecology and environment; as well as numerous maps outlining fire history and risk in the unit. The public may comment on this plan until December 6, 2012 when it will be submitted to the agencies for final signature. Comments may be made in writing to Amador Fire Safe Council, PO Box 1055, Pine Grove, California 95665 or electronically through the comment box on our website or to: amadorfiresafe@gmail.com . Amador County (October 1, 2012)- Operation Care received a $20,000 grant from The Mary Kay Foundation (SM) for its domestic violence shelter program. In observation of Domestic Violence Awareness Month in October, The Mary Kay Foundation (SM) awards $20,000 grants to more than 150 domestic violence shelters across the country for a total of $3 million. Operation Care will use the grant to provide critical support for its shelter program to help survivors of domestic violence. "Much of our domestic violence funding is through restrictive grants that state specifically how the money is to be used. While they provide the bulk of our services, we are so appreciative of the unrestricted funds from the Mary Kay Foundation. With this grant, we will be able to provide the extra services that make such a big difference to our clients." "The Mary Kay Foundation (SM) is committed to breaking the cycle of domestic violence." said Anne Crews, Mary Kay Inc. Vice President of Government Relations and board member for The Mary Kay Foundation (SM). "Through our grants, we honor and support shelters across the country that are having a profound impact for women and children in their communities. Since 2000, we have granted $31 million to help domestic violence shelters meet their critical needs and support their ongoing community efforts." About The Mary Kay Foundation (SM)The Mary Kay Foundation (SM) was created in 1996, and its mission is two-fold: to fund research of cancers affecting women and to help prevent domestic violence while raising awareness of the issue. Since the Foundation's inception, it has awarded nearly $31 million to shelters and programs addressing domestic violence prevention and more than $18 million to cancer researchers and related causes throughout the United States. To learn more about The Mary Kay Foundation (SM), visitmarykayfoundation.org or call 1-877-MKCARES (652-2737). About Operation CareOperation Care has been providing services and safe shelter for victims of domestic violence and sexual assault since 1980. During the 2011/12 fiscal year, Operation Care housed 72 women, children, and men. This is TWO TIMES the number housed in 2010/11. Advocates helped 54 victims with temporary restraining orders, and provided crisis intervention to 44 sexual assault victims. The staff provided 344 peer counseling sessions, and hundreds of transports to appointments, court, and other locations. The mission of the organization is to provide domestic violence and sexual assault support services, crisis intervention and education in our community. For more information call 209-223-2897 or visit www.operationcare.org and www.facebook.com/operationcare. Tom Slivick talks with Tammie Crabtree, Executive Director of Operation Care, about Operation Care's Purple People Project and what the organization plans on doing for Domestic Violence Awareness Month. Tom Slivick talks with Dezi Valdez, Prevention Specialist for Operation Care, about the organization's Purple People Project. Sponsored by the ITALIAN CATHOLIC FEDERATION, Branch No. 428 of Amador County. Camino - In 2008 a partnership was formed between CAL FIRE and the Muscular Dystrophy Association (MDA)/Amyotrophic Lateral Sclerosis (ALS). Last year statewide CAL FIRE employees raised $470,401 and over the past four years CAL FIRE has raised over $1.5 million. This places CAL FIRE at #2 in the nation in our efforts to raise monies for Muscular Dystrophy and Lou Gehrig’s disease (ALS). MDA does not receive any funding from the state, federal or local governments, nor does it seek or receive fees for service. In California alone, MDA sponsors fifteen neuromuscular disease clinics where those with nerve and muscle disease can receive a wide range of services at no cost. Throughout California, MDA is also funding over 43 separate research projects seeking a cause, a treatment and a cure for over 40 neuromuscular diseases. MDA provides funds to be used for the repair and maintenance of wheel chairs, leg braces and communication devices as well as MDA Summer Camps. On Saturday, October 20, people who care about the Mokelumne River will join together at sites near Jackson, Mokelumne Hill, Pioneer and West Point for day two of the 2012 Mokelumne River Cleanup. Mokelumne River Cleanups have been held for more than 20 years. Previous cleanups have cumulatively removed tons of trash and recyclables. The cleanup benefits wildlife and water quality while keeping the river a beautiful place to visit. Participants must register in advance. October 20 cleanup sites are the North Fork Mokelumne at Highway 26, and the main stem Mokelumne at Electra, Big Bar, and Middle Bar. • For the Electra-Big Bar and North Fork/Highway 26 cleanups, sign up online at www.foothillconservancy.org, e-mailrandy@foothillconservancy.org or call Randy Berg at 209-295-4900. These sites will offer a special prize for the weirdest trash find and a chance to win cool prizes. • For the Middle Bar site, contact EBMUD’s Steve Diers: sdiers@ebmud.com or 209-772-8260. This year’s Mokelumne River Cleanup Day Two sponsors are the Foothill Conservancy and East Bay Municipal Utility District. Business sponsors include ACES Waste Services, Star Donuts, Pine Grove Market, Martell Safeway, and Munnerlyn’s Ice Creamery. Volunteers should wear long pants and sturdy boots or closed-toe shoes, and bring along work gloves, a hat, insect repellent, sunscreen, a water bottle or canteen and a bag lunch to enjoy along the river. Water and snacks will be provided. Flotation devices are recommended for those working close to the river’s edge. Properly equipped paddlers are welcome to help from the river. No pets or alcoholic beverages, please. River cleaners under 18 are welcome if accompanied by responsible adults (one adult for every four minors, please). Minors must have their liability releases signed by a parent or legal guardian. Copies of the release for Electra, Big Bar and Highway 26 can be downloaded from the Foothill Conservancy website or obtained from the Conservancy office. Groups are welcome to participate—please call in advance for information. For more information, contact Randy Berg at 209-295-4900, e-mail randy@foothillconservancy.org or visit: www.foothillconservancy.org. October, 2012 - Amador County, CA - Peace. It's an idea many of us hold dear. But for some families in our community - it just isn't the case. For too many, home is not a place of peace, refuge and safety, but rather, a place where partners use violence and coercion to maintain power and control. That's why Operation Care is again hosting the "Peace Begins at Home" Purple People Campaign and the "The Cycle of Violence" multi-sensory 3-D exhibit. It is an effort to raise awareness and help stop domestic violence in our community. Domestic violence and abuse can be verbal, physical, sexual, emotional, psychological or financial.The subject of domestic violence is often kept very silent. Family, friends and neighbors are often afraid to rock the boat by taking action. Operation Care's goal is to bring this issue into the open and bring the community together in a collective commitment to end the violence. "We are asking people to take action," said Tammie Crabtree, Executive Director of Operation Care, "not only by wearing a purple ribbon or visiting one of our exhibits, but by speaking out." Physical violence can escalate over time, and can even end in death. Children living in an abusive household will carry the scars from their childhood into adulthood. "The only way to stop the violence is to not tolerate it," said Tammie. "Say something. Do something. If you witness a friend or loved one in an abusive situation, confront them. Tell them it is not OK to be verbally, physically, or emotionally abused, and that there is help available to them. If you find yourself in a violent relationship, don't stay, get help." Operation Care has a 24-hour crisis line (209-223-2600) and all calls are strictly confidential. Peer counselors are always available to help with safe shelter, a safety plan, a temporary restraining order, or just to listen. "It is important to note that we are non-judgmental," added Tammie. "People often go back, and we will respect their choice. Our door is open for a victim to return as often as needed." October is nationally recognized as Domestic Violence Awareness Month, and in order to raise awareness, Operation Care has planned a series of events throughout the month. FREE 3-D ExhibitThe CYCLE OF VIOLENCE is a multi-sensory exhibit, giving visitors the opportunity to see, hear, and experience domestic violence from the victim's perspective. Based upon a real-life 911 phone call, this amazing 3-D exhibit will take viewers on a virtual walk through the stages of the Cycle of Violence: Tension, honeymoon, and violence. The exhibit will be open to the public October 8th -October 25th and will be displayed at Operation Care's office, 619 New York Ranch Road in Jackson from 8 a.m. - 5 p.m. The exhibit is free, and open to the public. Please note that this exhibit may contain sensitive material and explicit language therefore it is not suitable for children. The purple people are back! 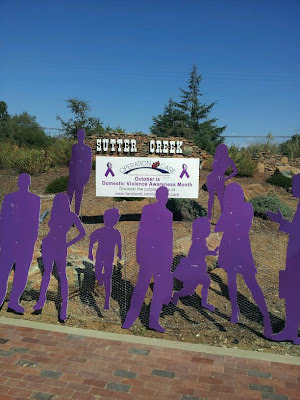 Life-sized purple silhouettes of women, children, men, and even a dog, have been placed at locations throughout the Amador County. The silhouettes each have a different, real life story or situation. Operation Care staff and volunteers have prepared the annual county-wide display, featuring statistics and stories contributed by advocates, clients, and survivors of domestic violence. This display was developed to raise awareness about the impact of domestic violence in our community. The largest displays are at the corner of Highway 49 and Old Highway 49/Main Street in Sutter Creek, and at Jon's Pitt Stop at the corner of Highway 49 and Highway 88 in Jackson. Baskets containing purple ribbons to wear or tie a on the car antenna will be placed at many local merchants and business offices. The purple ribbon is a unifying symbol of courage, survival, honor, and dedication to ending domestic violence. Operation Care has been providing services and safe shelter for victims of domestic violence and sexual assault for over thirty years. During the 2011/12 fiscal year, Operation Care housed 72 women, children, and men. This is TWO TIMES the number housed in 2010/11. Advocates helped 54 victims with temporary restraining orders, and provided crisis intervention to 44 sexual assault victims. The staff provided 344 peer counseling sessions, and hundreds of transports to appointments, court, and other locations.